Paperback, 8 x 10 in. / 408 pgs / 328 color / 254 bw. Edited by Günter Herzog, Brigitte Jacobs van Renswou. Introduction by Rudolf Zwirner. Foreword by Gerald Böse, Daniel Hug, Heinz Schnock. 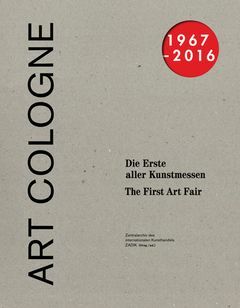 Now into its 50th edition, after its historical beginnings as Kunstmarkt Köln ’67, Art Cologne is still one of the most important art fairs in the world. 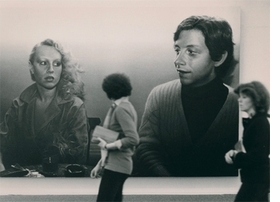 And it still has its roots in Kunstmarkt Köln ’67, as a fair for classic modernism, postwar and contemporary art. Originated by the Cologne gallery owners Hein Stünke and Rudolf Zwirner, Kunstmarkt Köln ’67 opened on September 12, 1967, in Gürzenich, the City of Cologne’s gothic banqueting hall, and was to change the international art market forever. How revolutionary this first fair was can only be understood today by means of the immediate reactions at the time, which were recorded in a flood of media reports. With a wealth of documents and illustrations, this weighty volume traces the history of the fair in chronological order. FORMAT: Pbk, 8 x 10 in. / 408 pgs / 328 color / 254 b&w.